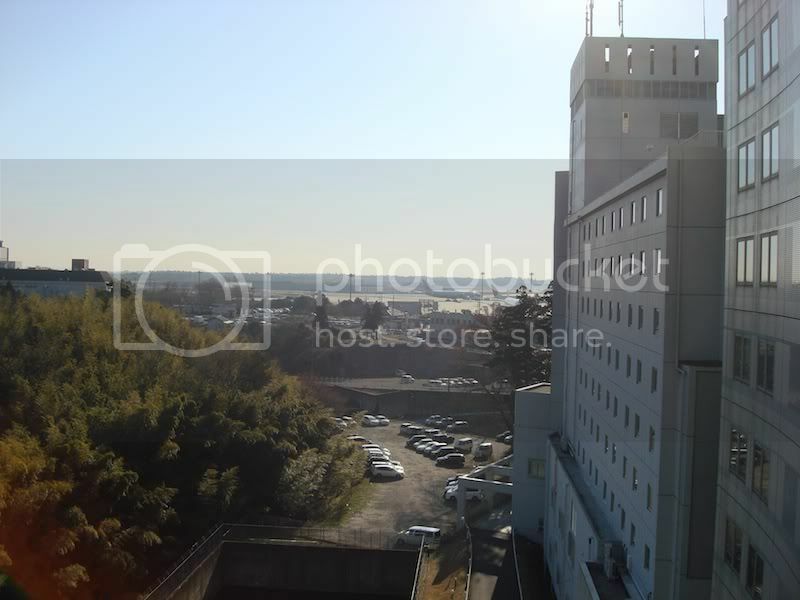 Above, is a view from the hotel room, showing off the Narita airport, and a little forest. I'm on the 7th floor, for all that matters. In all honesty, I could get used to this kind of hotel-world-living. So far, things are working out well. 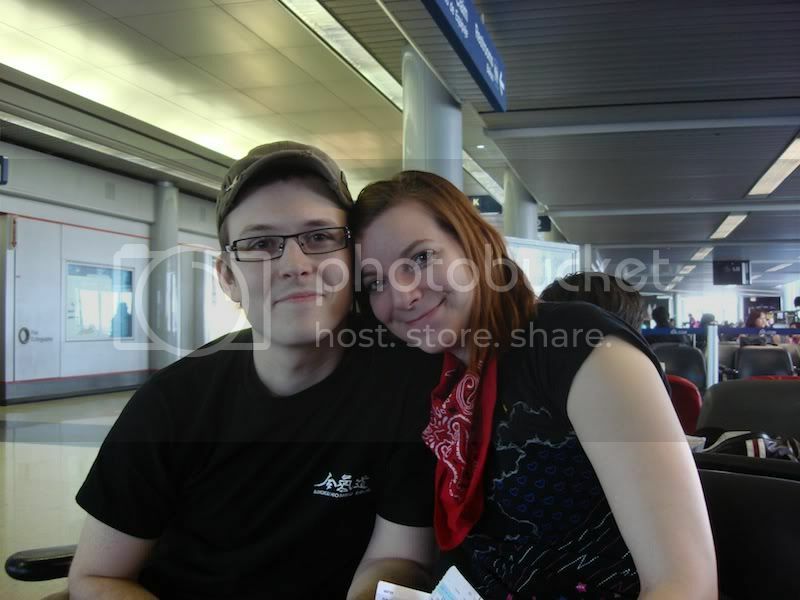 And, here is a photo of Ashley and I before I boarded the plane headed to Japan. It was nice that both Ashley and Dave (not pictured) drove me down to O'hare to see me off. Also nice, the American Airlines attendant that gave both Dave and Ashes a pass to come past security with me. That way, I wasn't waiting all alone.